This is your captain speaking: This is the last day of our trip in New Zealand. 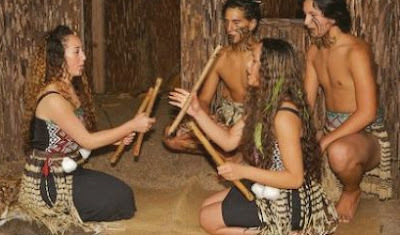 You sure remember the welcoming we got a few weeks back with the Haka dances. 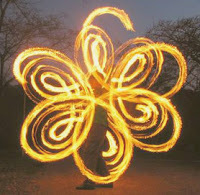 This time we'll go for something different. 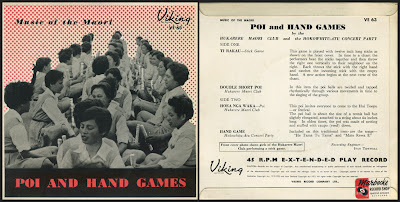 This week, we'll have a great party before leaving with 2 local bands performing for us the traditional POI AND GAMES (Vicking records VE63 from the mid 60's). 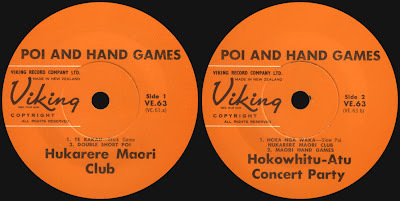 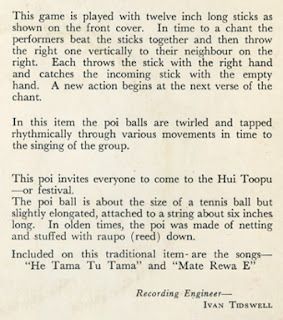 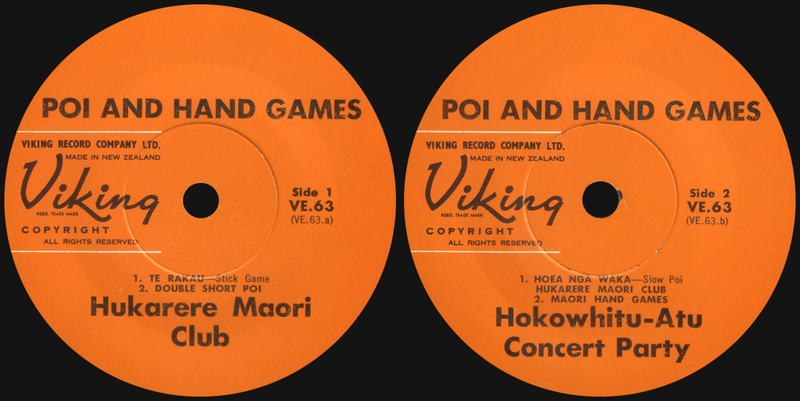 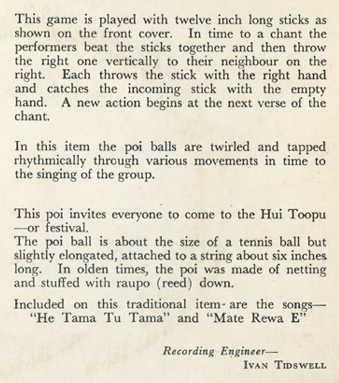 These are the songs that goes with the traditional ancient Maori sports and games, they where performed for our pleasure by the Hukaere Maori Cub on side 1 and the Hokowhitu-Atu Concert Party on side 2 so it's kind of a split ep.